The jade is big enough to climb on! A National Natural Monument. Massive boulders of pristine white jade. 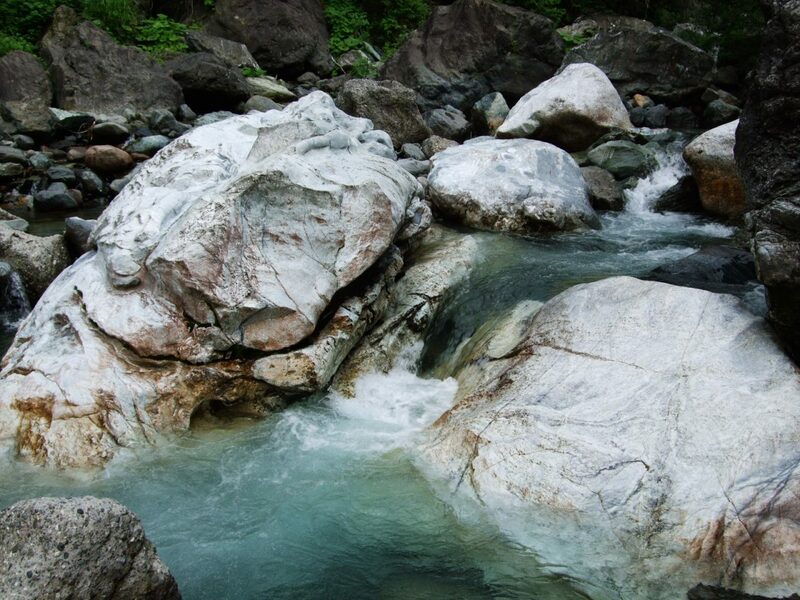 The Omigawa Jade Gorge is a National Natural Monument where over 40 large boulders of pristine raw jade can be found. 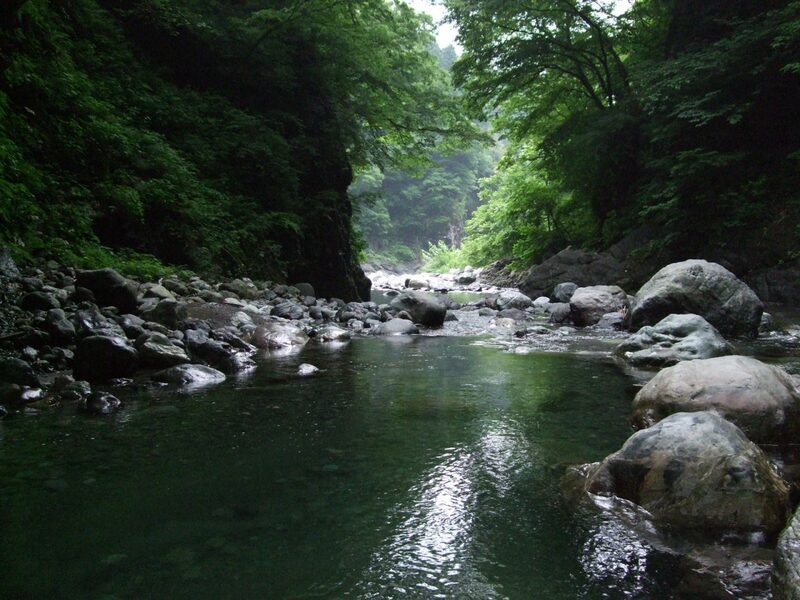 The Omigawa Jade Gorge is not as easily accessible as the Kotakigawa Jade Gorge, so be prepared to hike a little bit. The sheer size and beauty of the jade boulders here make it worth it! 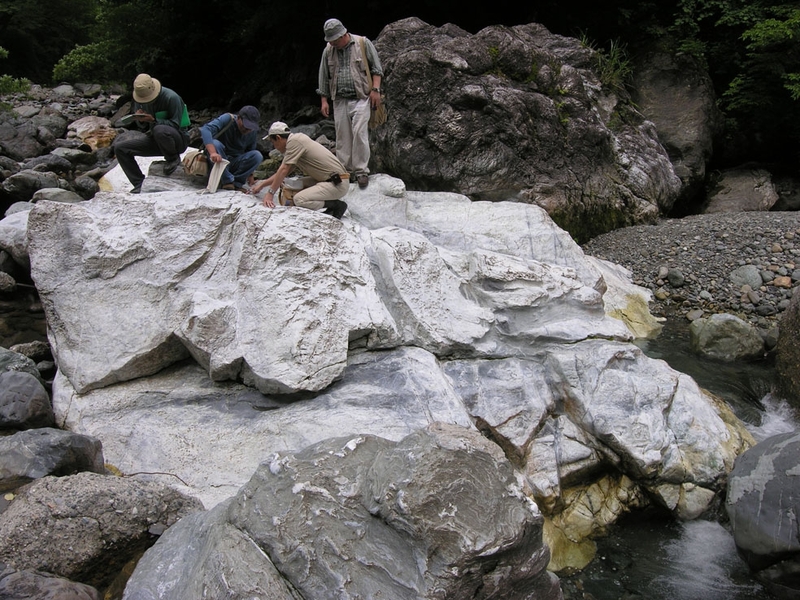 The Omigawa and Kotakigawa Jade Gorges are the two largest jade deposits in Japan. The jade in these gorges are considered national treasures and visitors are welcome to explore, touch and even climb on the jade boulders here. The collection, damage or abuse of minerals, plants or animals is strictly prohibited. We ask for you cooperation in preserving our natural and cultural heritage for all to enjoy. Very Limited Parking. 10 min walk from entrance to gorge / 40 min drive from Itoigawa Station / 2 hour walk from Oumi Sta.